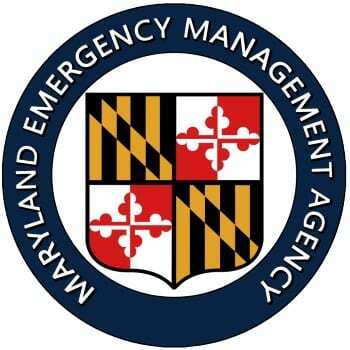 As rain continues to fall throughout much of Maryland, the Maryland Emergency Management Agency (MEMA) is reminding residents to be ready for additional storms and flooding through Wednesday, with heavy bands of rain forecast Tuesday night. •	Never enter an area where water is flowing over a road and you cannot see the pavement. During flooding, turn around, don’t drown! •	Continue to closely monitor weather forecasts and follow all advice from local officials and emergency managers. •	Keep communications devices charged during storms so that you will have a way to follow weather forecasts and communicate with your family, friends, and neighbors. •	If a severe thunderstorm or flash flood warning is issued or you are experiencing strong winds, get to a sturdy shelter and stay indoors and away from windows. •	If you hear thunder, you are close enough to be struck by a fringe lightning strike. More than 98 percent of lightning casualties are from people outdoors—get indoors or inside your vehicle if possible. •	Know who to contact in case of a power outage and report power outages to your utilities provider. •	Document any damages to your home, property, and business and provide this information to your insurance company.